Her life has so much meaning now. 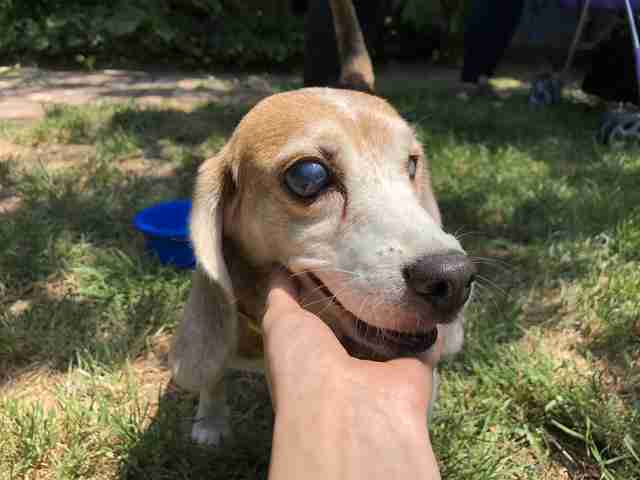 When rescuers saved a blind beagle named Maria from a Chinese laboratory, they thought they were saving one dog’s life. But they ended up saving seven lives. 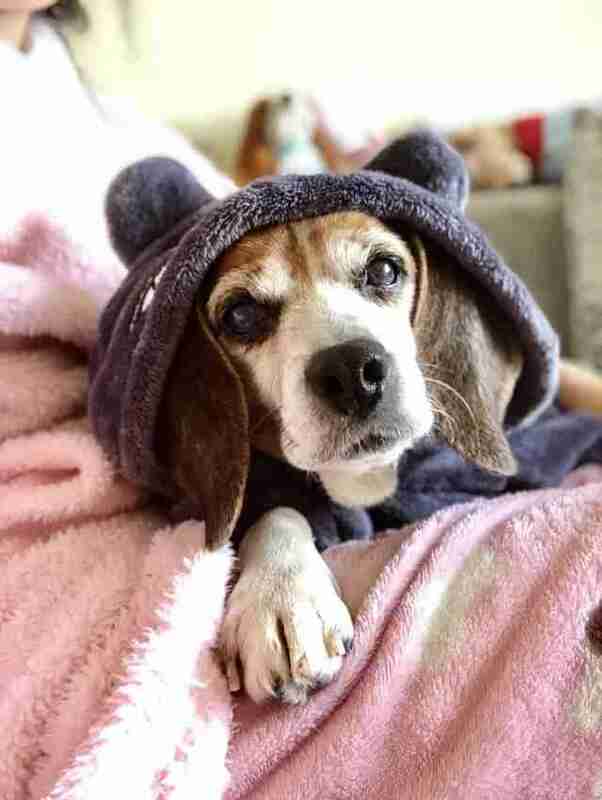 Maria, who is now 10 years old, had spent her entire life in a cold, steel cage in a laboratory in Cheng Du, China. This wasn’t all Maria had gone through. Keith believes she’d also been used in some kind of glaucoma study, and whatever experiments the researchers did to her had left her blind and traumatized. 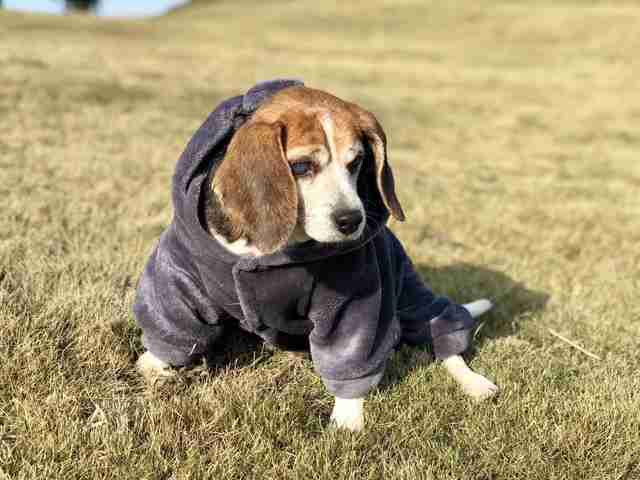 Local Chinese rescuers took in Maria, as well as 17 other dogs, from the lab — and all of the dogs were psychologically scarred by their experiences. 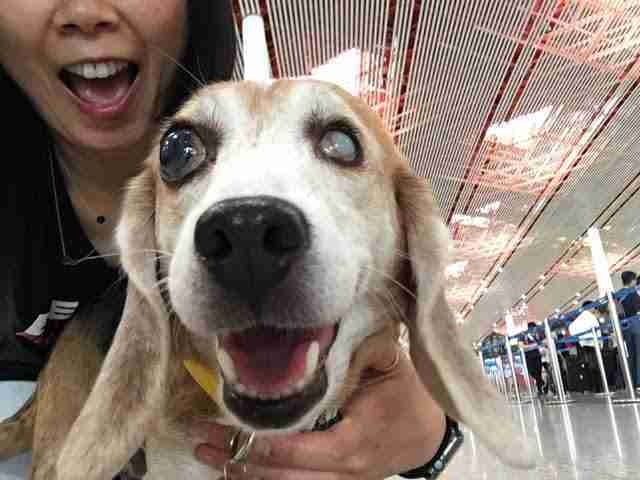 But finding former lab dogs forever homes in China is tricky — many people in China don’t want dogs as pets, and when they do get a dog, they don’t want one who’s been rescued from a lab. So the local rescuers reached out to Rescue + Freedom Project and asked for help. “We said that we’d assist throughout the entire process,” said Keith, who has helped rescue countless other dogs from labs around the world. She and her team arranged for the dogs to fly to the U.S. to find forever homes, but they soon discovered that Maria couldn’t get on a plane with the others — she was pregnant. There were seven puppies in total. Sadly, one passed away shortly after birth, but the other 6 were strong and healthy. 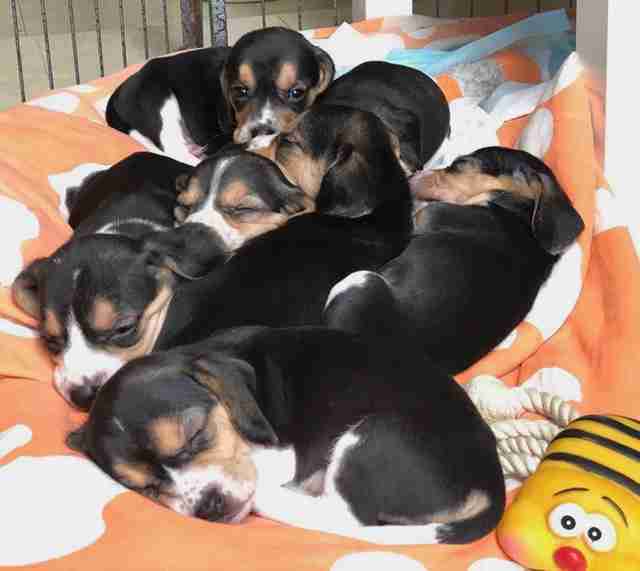 Two of the puppies were able to find homes in China, but the other four — Klyde, Oliver, Bessie and Lily — flew to Los Angeles with their mom. They were all placed in separate foster homes, and three more puppies have since found homes in the U.S.
Now Maria needs a forever home, and the team at Rescue + Freedom Project are doing everything they can to find her the perfect one. “She does enjoy the outdoors because she never got that before, so preferably someone with a yard so she can just mosey around and lay in the sunshine,” Keith added. 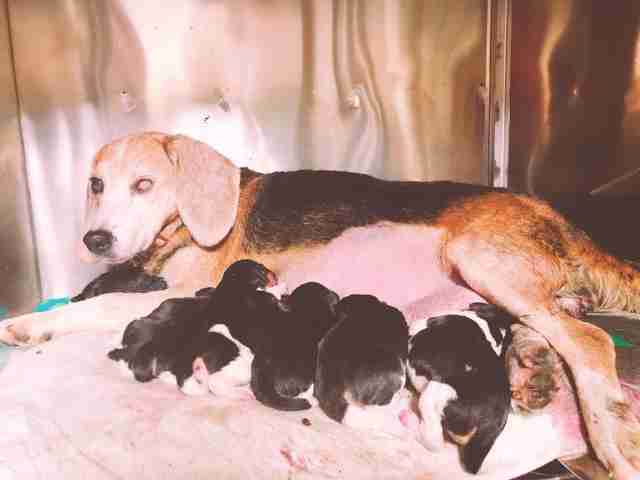 Maria and her puppies are safe now, but Keith points out that other dogs are still being used in lab experiments — not just in China, but the U.S. and other countries as well. 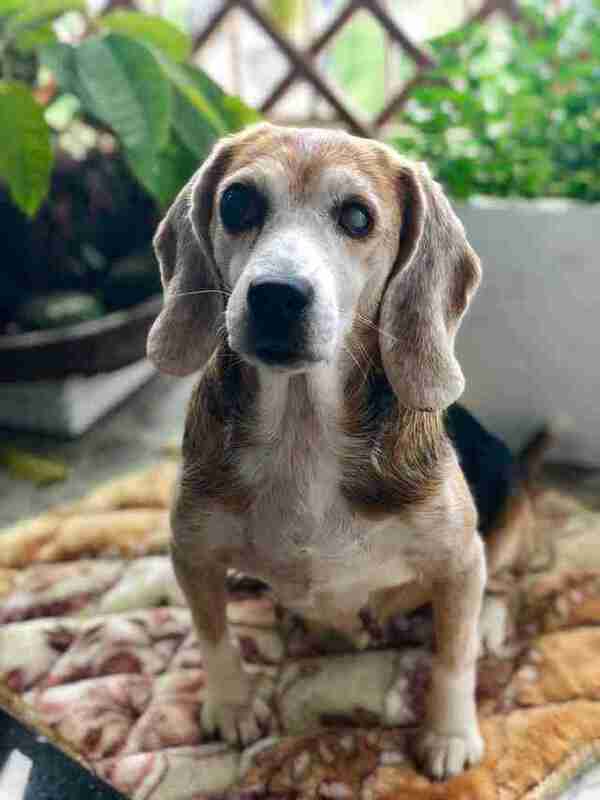 If you’re interested in adopting Maria or her last puppy, contact Rescue + Freedom Project.